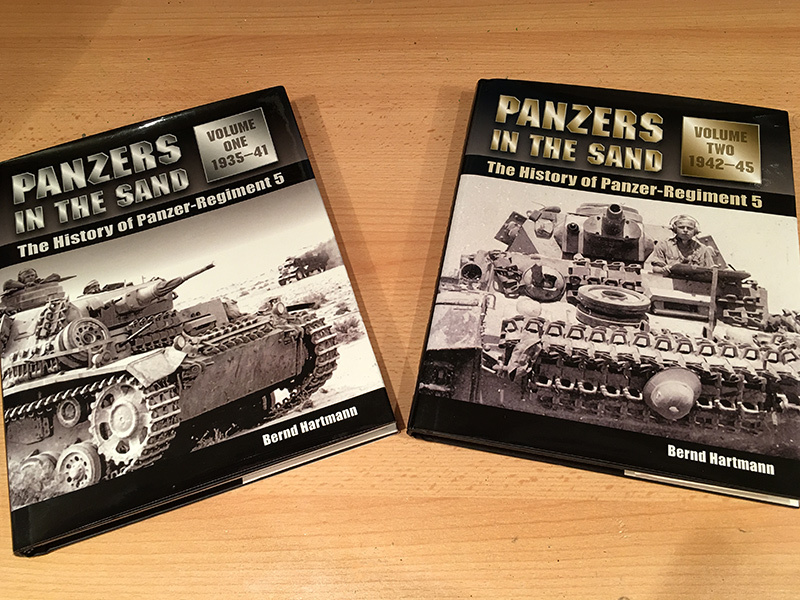 Another trip to my local bookshop, David’s during my lunch break today and I picked up these two beauties, “Panzers in the Sand“, volumes one and two by Bernd Hartmann. 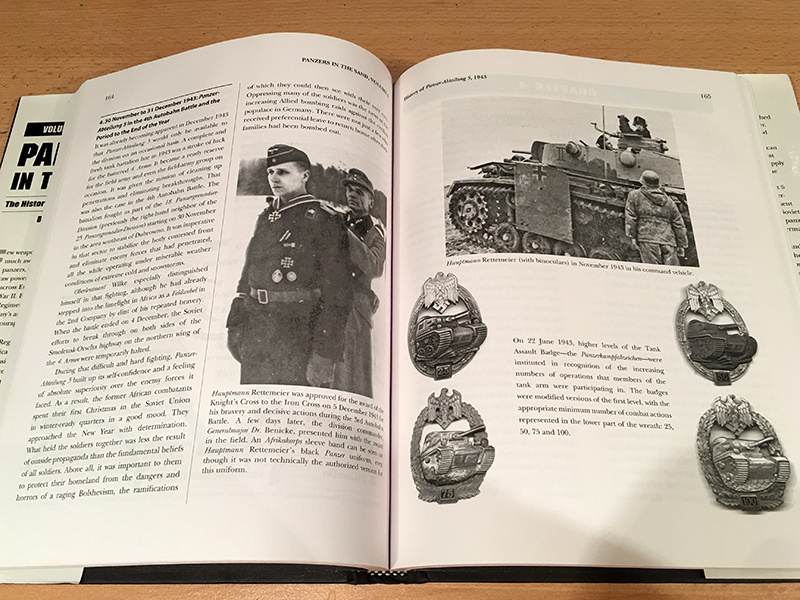 They cover the history of Panzer Regiment 5 from 1935 to 1945. 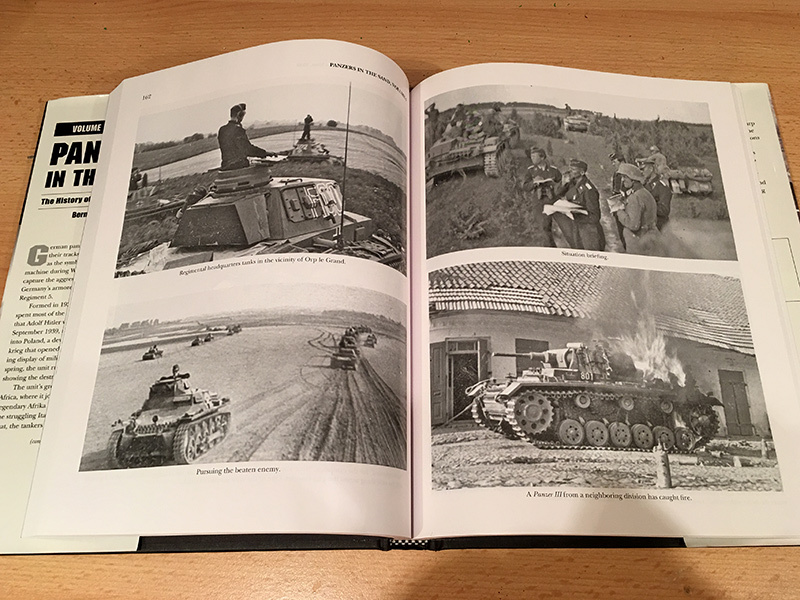 The tank regiment took part in the invasion of Poland and then France and then joined Rommel’s Afrika Korps. 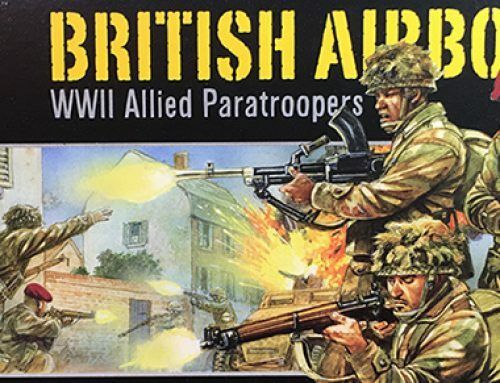 It took part in the battle for Tobruk and El Alamein. 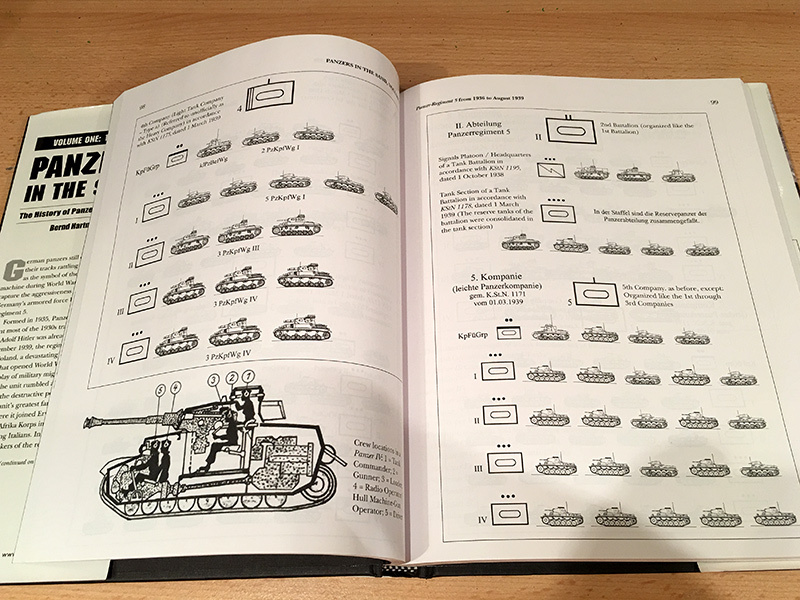 Following the surrender of the German forces in Africa, the regiment was reformed as Panzer-Abteilung 5, an assault gun unit and was sent to the Eastern Front and fought until the end of the war. 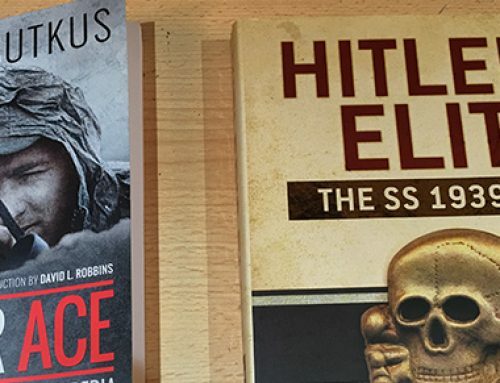 The books are in first class condition and cost me £7 each (originally £19.99 in 2011). 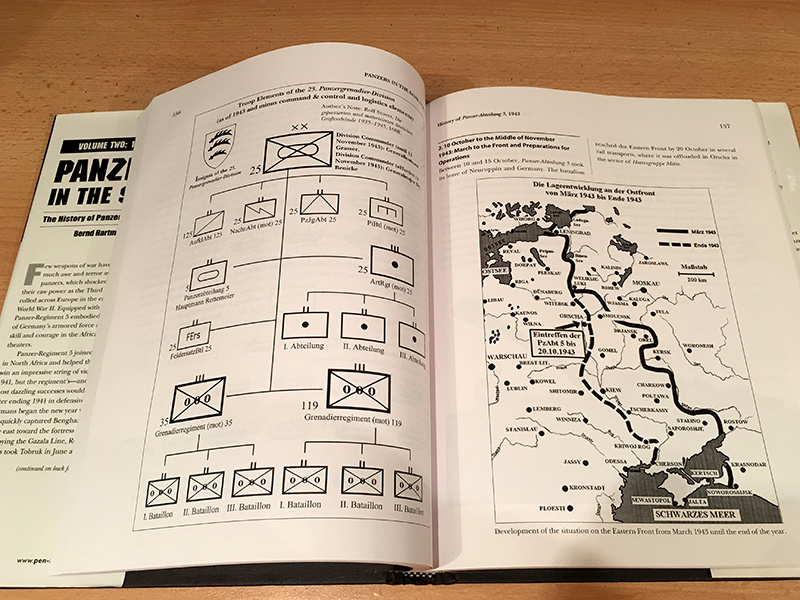 They are packed with photographs, diagrams and maps and tell the story of many of the individual combatants. 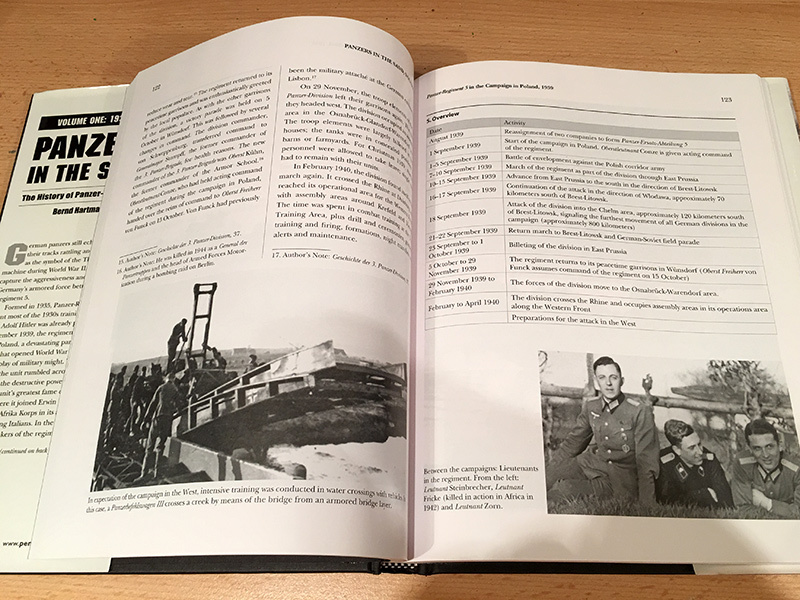 A quick flick-through shows there are photos or diagrams on almost every pages across both volumes. 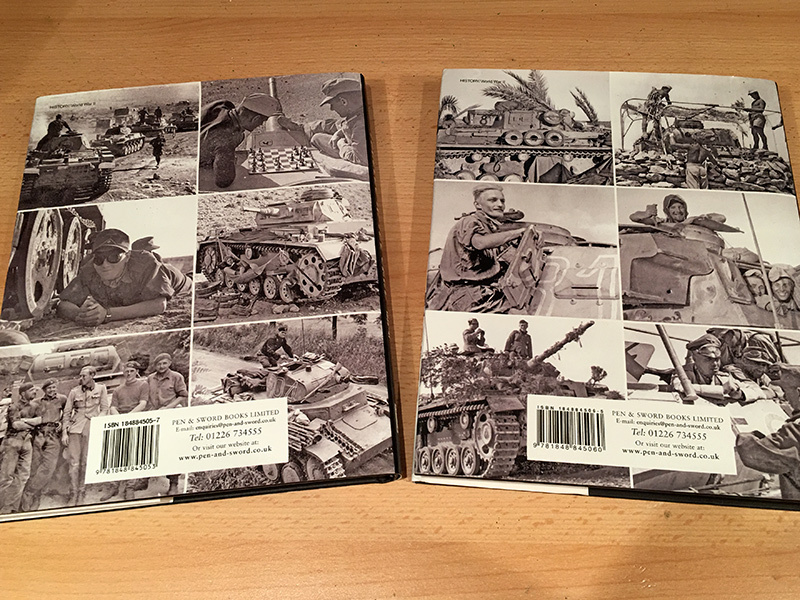 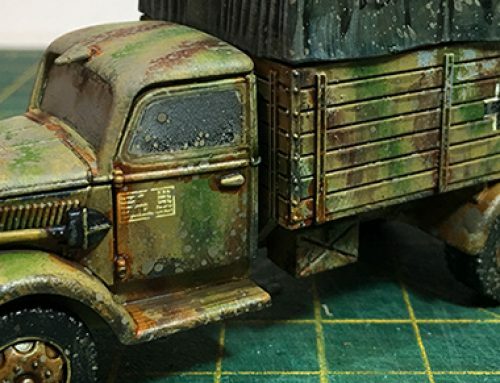 They look like they will be a really useful and interesting addition to my military history library and coincide with my recent purchase of the Perry Afrika Korps and Desert Rat 28mm miniatures. 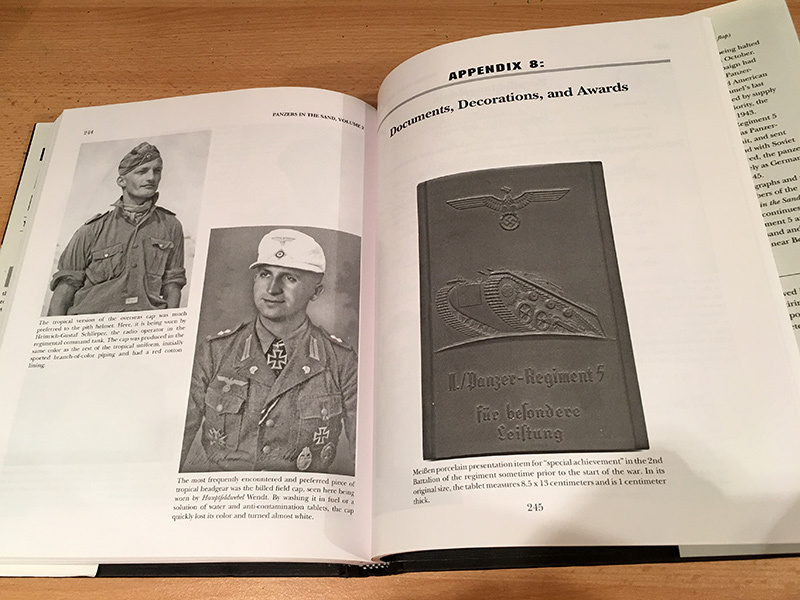 The author, Bernd Hartmann, served in the German Army, post-war and retired as a lieutenant-colonel. 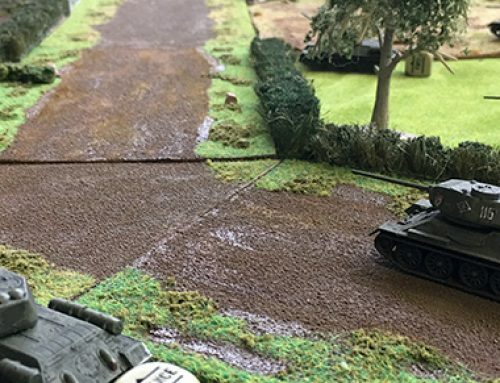 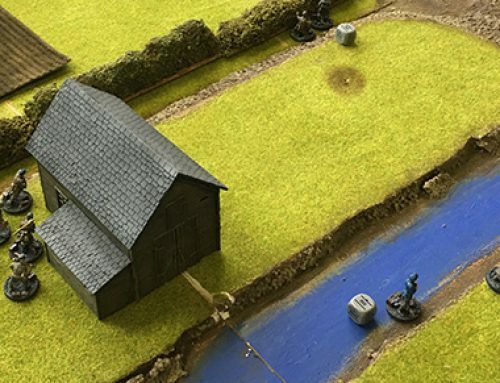 He is a spokesman for the veteran’s association for Panzer Regiment 5.